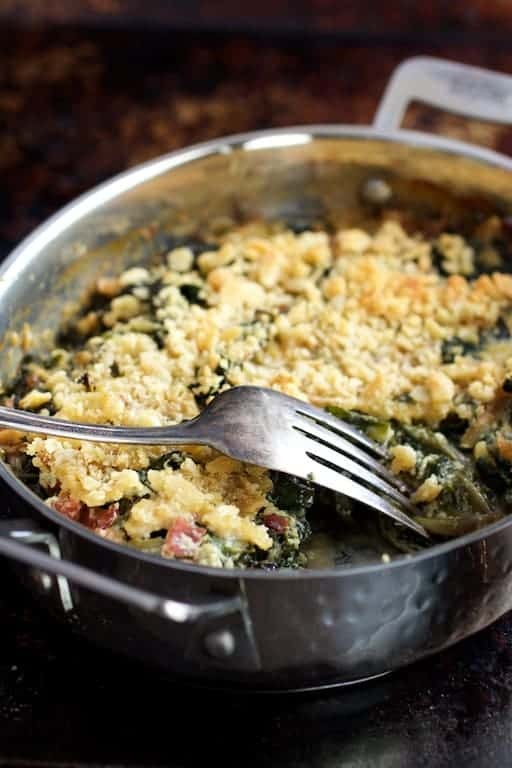 Kale Sprout, Spinach and Arugula Gratin with Cambozola is the perfect side dish to pair with simply roasted meat or poultry this fall and winter! I’m starting to feel it. The pressure of the holiday season. I went to a client’s home yesterday and her Christmas decorations and tree are half up. What? Huh? I delivered a meal today to a friend who is recovering from surgery. She had numerous boxes of Christmas decorations sitting around that no doubt were anxiously awaiting escape from their cardboard walls for a place of admiration in her beautiful home. Um. Isn’t it only mid-November? Still feeling the pressure nonetheless and already starting to sweat the holiday season. So when the pressure is on, I want an easy dish that delivers maximum culinary “wow!” It’s happening here with this gratin, my friends! 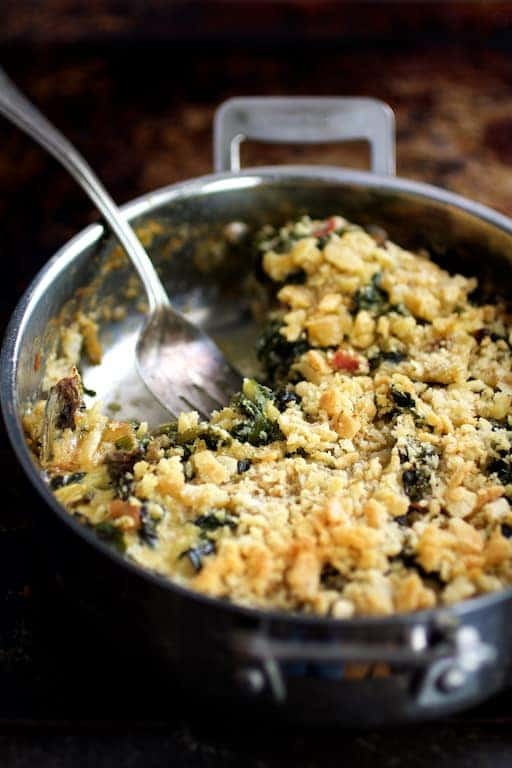 Mildly bitter and chewy kale sprouts, sweet spinach, peppery arugula, smoky bacon and mild Cambozola cheese combine for an elegant yet easy vegetable gratin that’s perfect with simply roasted meat and poultry. If your entree is elaborate, then pair simple side dishes with it. 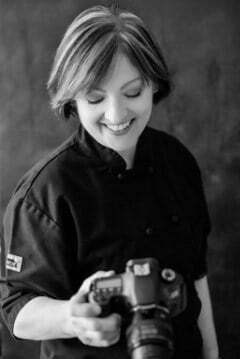 If your entree is more on the simple side, then feel free to serve a more elaborate side dish. While this dish is easy to prepare, it has a real culinary “wow” factor! I’ve mentioned before how excited I get when I see kale sprouts at the grocery store. 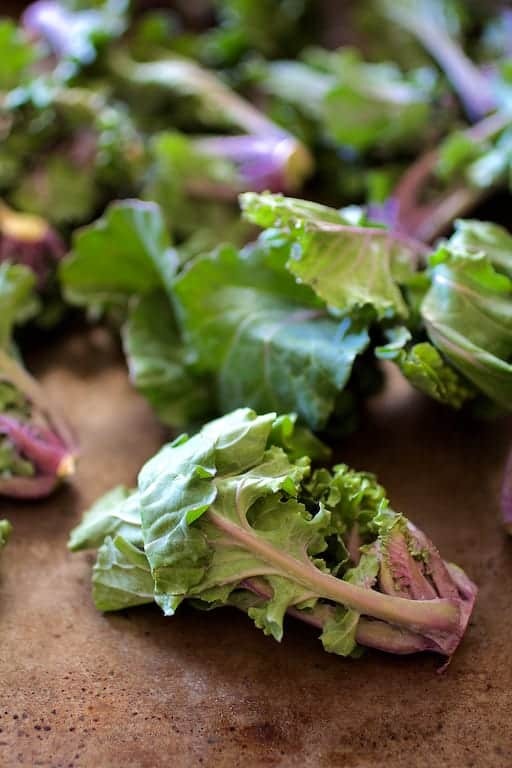 They’re a cross between red Russian kale and Brussels sprouts (often sold as Kalettes®). Could a vegetable be any more perfect? I was a little nervous about combining the assertive flavors of kale and blue cheese but heck yeah, they work beautifully together! If you’re not familiar with Cambozola®, you’re going to fall in love. It’s a very mild blue cheese made in Germany that’s a combination of triple cream cheese and Italian gorgonzola which is often referred to as a “blue brie.” You can find it at any specialty cheese counter. 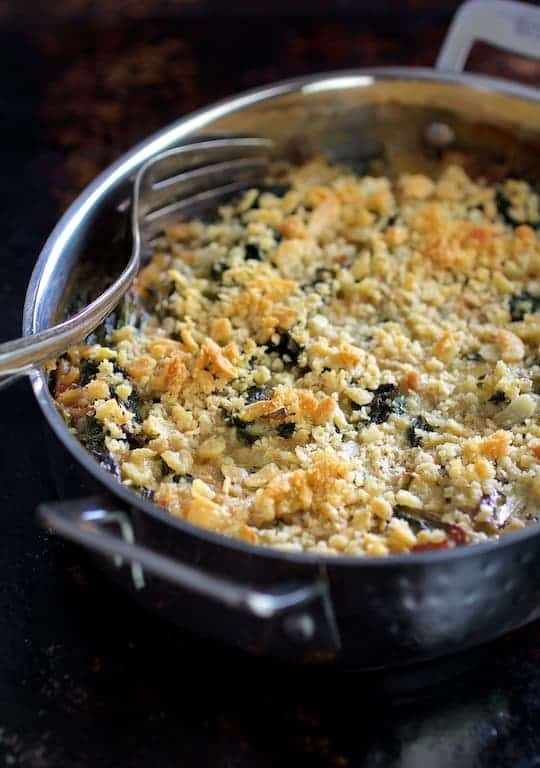 A crispy topping of coarse dry breadcrumbs or buttery cracker crumbs and mwahhhh!!! 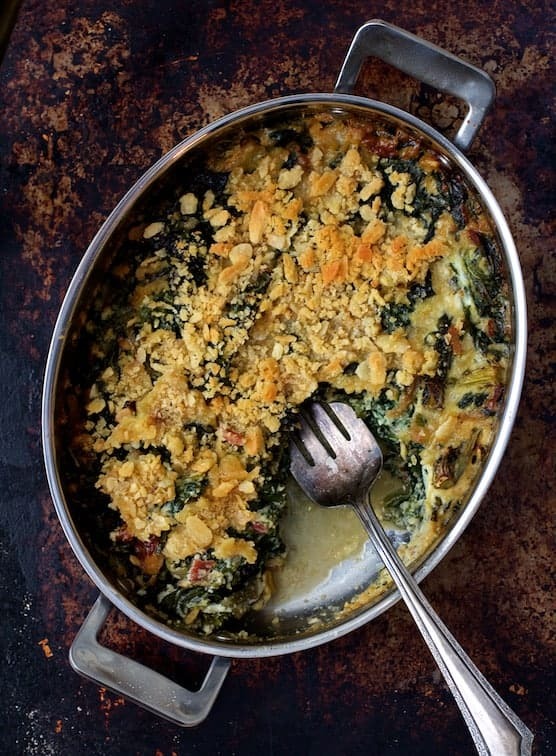 All you need on the side with the roasted meat or poultry in addition to this lovely gratin are potatoes or other root vegetable. Enjoy! Heat olive oil over medium-high in a saute pan. Add the shallot and cook 3-4 minutes or until beginning to soften. Add the kale sprouts, reduce heat to medium and saute 2-3 minutes or until wilted. Add spinach and arugula and cook until it just wilts. Remove from heat. Stir in garlic and bacon. Transfer to a 1 1/2-quart baking dish. Pour sauce over the greens and gently stir so that the greens are covered with the sauce. Bake 35-40 minutes or until bubbling and heated through. This recipe looks so yummy and so savory!! Can’t wait to try this! Beautiful pictures, too! Looks so appetizing! Yum! I love kale sprouts. This sounds amazing! OK, now I need to go out and find kale sprouts and Cambozola because this sounds amazing! I’ve never had kale sprouts, they are so beautiful! I think I’ll need to keep an eye out for them in the future. They’re wonderful! If you can find them, I’m sure you’ll enjoy them.